Chlorella is quickly becoming well known (along with spirulina) as one of the world’s healthiest foods. With so many reasons to take it, including detox, immune support, and better athletic performance, chlorella will soon be in green smoothies across the country! While the issues concerning our agriculture and environment seem to be growing more alarming, there is one simple way to help your body in its battle with toxins – chlorella algae. Chlorella has been around for hundreds of millions of years. However, awareness of its nutritional properties started less than 100 years ago. Following World War 2, there was a global food shortage. As the population of the world continued to rise exponentially, economists feared that global food production could not meet the demands of the growing population. Food scientists, hard at work searching for sustainable means of nutrition, came across chlorella. 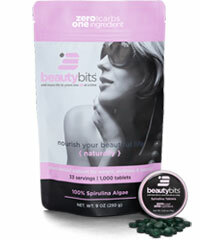 Benefits of Chlorella algae are still being discovered even today. Photograph by Arunas Naujokas. All of these organizations saw the potential of chlorella as a sustainable food source. There were just two problems. The first was that the technology to grow chlorella on a large enough scale did not exist (yet). While that problem could have been surpassed there was a much larger issue for chlorella as a mainstream food product – it didn’t taste like ice cream. Chlorella is a nutritious source of several vitamins and antioxidants. Photograph by Kimberly Nanney. Fortunately, not everyone was looking to bring chlorella into the mainstream. As concerns over food shortages died down in the 1960s, NASA began studying chlorella as a means of sustainable food and oxygen production in space. This research was very promising and continues even in recent years. Despite the promising research that’s shown how incredible chlorella is as a source of nutrition, it remains relatively unknown due to its lack of mainstream flavor. However, the algae food market has been making a slow and steady comeback. As more and more people begin to pay closer attention to their dietary habits, chlorella is set to burst into the mainstream. After all, while its not a delicious dairy treat, chlorella doesn’t taste all that bad. In fact, many people love its earthy flavor! The two most studied and promising types of algae for human consumption are spirulina and chlorella. While they are often mentioned in the same breath, what they do in your body is night and day. 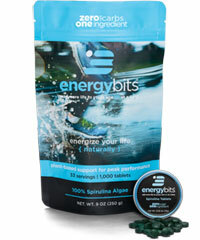 Spirulina is particularly good for energy because it has no cell wall. It takes little time to digest, making it an instant source of vitamins and protein. Chlorella, on the other hand, has one of the strongest cell walls in the plant kingdom. It digests very slowly, allowing its high chlorophyll content to detoxify your body. Chlorella has the unique ability to bind to and remove heavy metals from the body. Studies show that chlorella is effective at removing several harmful compounds from the body, including heavy metals like lead. We are exposed to these pollutants in our air, our water, our food, and the consumer products we purchase. It’s important to give your body the resources it needs to prevent pollutants for harming your health. Chlorella is a fantastic food for fortifying your body’s immune system and preventing heavy metal-related illnesses. While not a toxin that most people try to avoid, chlorella has also been found to promote the metabolism of alcohol in humans. A study performed with 6 human subjects found that consuming chlorella before drinking alcohol reduced ethanol in the blood and breath along with reducing acetaldehyde, a contributing cause of hangovers, in the blood. Chlorella is loaded with micronutrients and antioxidants that are important for maintaining healthy arteries, which, in turn, improve blood pressure. These nutrients help reduce arterial stiffness – a problem commonly associated with high blood pressure. Some research suggests that chlorella improves arterial health by increasing nitric oxide levels. Research has used both younger and older individuals, meaning anyone can benefit from chlorella. By incorporating chlorella into your diet, you’ll be able to push yourself farther. Photograph by Marion Michele. Interestingly, chlorella’s ability to increase oxygen uptake capacity was studied in both young men and women. Even more interesting, chlorella was found to significantly improve peak oxygen. [#] These findings suggests that consuming chlorella could be beneficial to athletes who participate in sports or exercise requiring significant aerobic endurance. 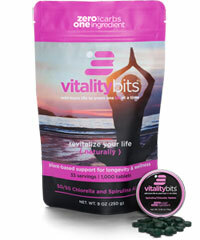 Most people find chlorella algae more palatable than its cousin algae, spirulina. Some people even love the taste! It has a very "green" flavor but is easier to chew than spirulina and is much less bitter. You may find chlorella to be an acquired taste, but if you don’t feel like getting used to it, you can always just swallow chlorella with some water. Chlorella can get a bit stuck in your teeth, but hey, so does popcorn! In fact, some people like to use it as a popcorn substitute. Instead of reaching for the bag of popcorn to snack on during the movie, just grab the chlorella bag and chow down. No microwave required! It also goes well in smoothies, in trail mix, and pretty much anywhere else you’d put greens like kale or spinach. For other people, however, chlorella’s earthy taste will just not be your thing. That can really be a problem if you opt to get powdered chlorella, since you won’t be able to hide the flavor. The best foods for your health are always the ones that you will eat regularly. So, if you think you might not like the taste of “green,” then we highly recommend you try chlorella tablets so you can swallow them without tasting. It’s easy to crush tablets into a powder. It’s a little bit harder to put powder back into tablet form! Most companies who sell chlorella use 500mg and all the way up to 1-gram tablets. We recommend 250mg chlorella tablets as they are much easier to swallow – especially if you want to give them to children. Throw Chlorella into a salad to get even more out of your healthy lunch! Photograph by Alyson McPhee. While cooking with chlorella can be a fun way to get green colors into your foods, it’s important to know that excessive heat can damage chlorella’s nutrients. Keeping your chlorella in the refrigerator can help maintain the flavor, but you don’t have to worry about leaving it at room temperature – even on an especially hot day. Dave Asprey, the Founder and CEO of Bulletproof shares how he uses chlorella (full video). It’s important to know that chlorella isn’t just another mass-produced extract from China with a few studies showing vague health benefits. Chlorella is a bona fide superfood with decades of research to back it up. It is a food crop, and just like the greens you buy at the grocery store, quality matters. Chlorella growing techniques vary, but the best chlorella is grown naturally in outdoor tanks monitored for purity. While we cannot speak for the entire chlorella industry, the ENERGYbits chlorella growing method is all natural and organic. We use no artificial chemicals or pesticides. We grow the chlorella in pristine, freshwater tanks, harvest it, dry it, and press it into tablets. Our chlorella is tested three times for purity (and is consistently 100% pure) before you receive it. That means all you are getting is pure, organic chlorella, just as nature intended! Chlorella must go through a longer process to maximize its nutrition than other crops. This leaves more room for error as a grower and for that reason, it is crucial to select a chlorella product that is grown the right way. 1. What is the strain of this chlorella? There are two main strains of chlorella that are used for their health benefits - Chlorella Pyrenoidosa and Chlorella Vulgaris. There have been no studies directly comparing the nutritional benefits of these two chlorella. With that said, Chlorella Vulgaris is far more common and suspect in quality. Many mass producers choose this chlorella for its ability to grow in less than pristine conditions, meaning the chlorella does not properly develop its most important nutrients. If chlorella is grown indoors, it will not properly develop chlorophyll, a key nutrient for detox. If the chlorella is grown in less than pristine water or without the proper nutrients, the chlorella will not contain as much protein. As Chlorella Pyrenoidosa is more common for higher quality growers (especially in Taiwan, as this strain is native there), it often contains more protein and micronutrients. So, while some manufactures may take great care in growing high quality Chlorella Vulgaris, Chlorella Pyrenoidosa is the safer option in our opinion. 2. How is this chlorella’s cell wall processed? One of the most important things to know when you are looking for the best chlorella algae on the market is how the chlorella’s cell wall is processed. Chlorella has one of the hardest cell walls in the plant kingdom. In order to make its nutrients bioavailable, that cell wall must be opened. There are many ways manufacturers process chlorella. The best chlorella has its cell wall broken by sound vibrations. The chlorella is passed through a sound chamber, cracking the cell walls without high heat or excessive grinding. This method allows the nutrition in chlorella to remain intact yet bioavailable. Some manufacturers use chemicals or extreme heat to make chlorella digestible; however, these methods severely harm chlorella’s nutrition. More common methods include milling and pressurizing the chlorella. While using a pressure-release chamber prevents oxidization and nutrient degradation, milling chlorella can negatively affect its nutrient content and digestibility. We highly recommend knowing how your chlorella is cracked before buying. If you cannot find out how a company processes their chlorella (or if they do not mention the chlorella’s cell wall is broken), purchasing it is very risky. Chlorella algae is a gamechanger for health. Many foods are good for getting your body the nutrients it needs, but only a handful are good at removing the toxins it doesn’t. Chlorella can help cleanse your body of environmental toxins, leaving you feeling healthier than ever. 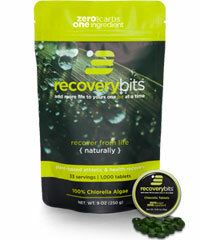 If you’d like to try our soundwave cracked, chlorella (Chlorella Pyrenoidosa), then be sure to check out our RECOVERYbits® Chlorella. It is the highest quality chlorella available and is grown using the highest quality growing conditions in the industry. Chlorella is your answer for better detoxes and optimized health. RECOVERYbits® will boost your immune system, improve your athletic recovery and increase longevity.